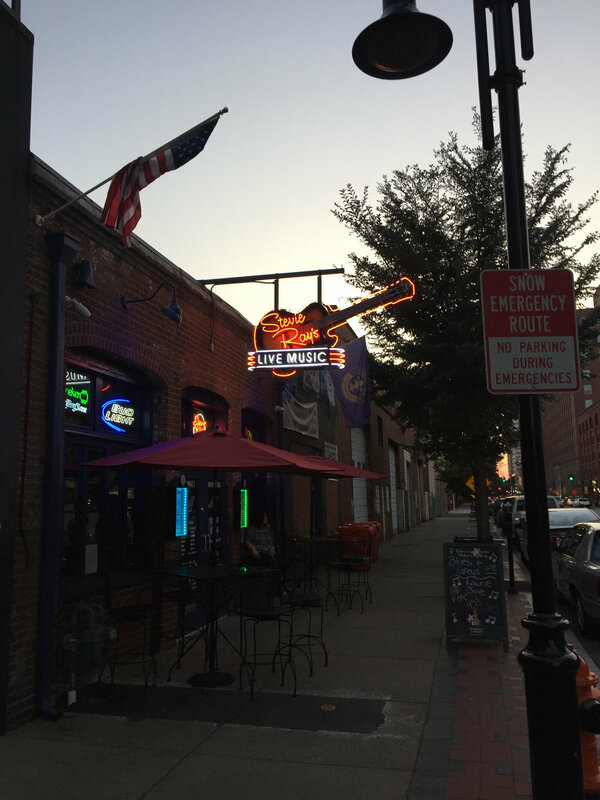 Through the years Stevie Ray’s has progressed from a venue that offered live blues music 100 percent of the time to different genres of music to appeal to live music lovers of all ages. Of course, Blues Music will still be the primary platform. Stevie Ray’s have undergone renovations over the years, and with input from many people including one invaluable customer and friend, David True, (also one hell of an electrician), care has been taken to preserve the same bluesy atmosphere as when Stevie Ray’s first opened in October, 1994. Over the years as with any entertainment venture there have been ups and downs coupled with the constantly changing music culture and diverse customer base. With management’s promise of a concentrated effort on ultimate customer service, second to none, as well as added focus of “SUPPORTING” live music and the artists, Stevie Ray’s ensures that live music will continue to thrive in Greater Louisville and Southern Indiana. Keeping with the spirit of Fred Wooten’s and Mike Pollard’s original vision, we believe that Stevie Ray’s is continuing to offer the most intimate live music venue in the region.